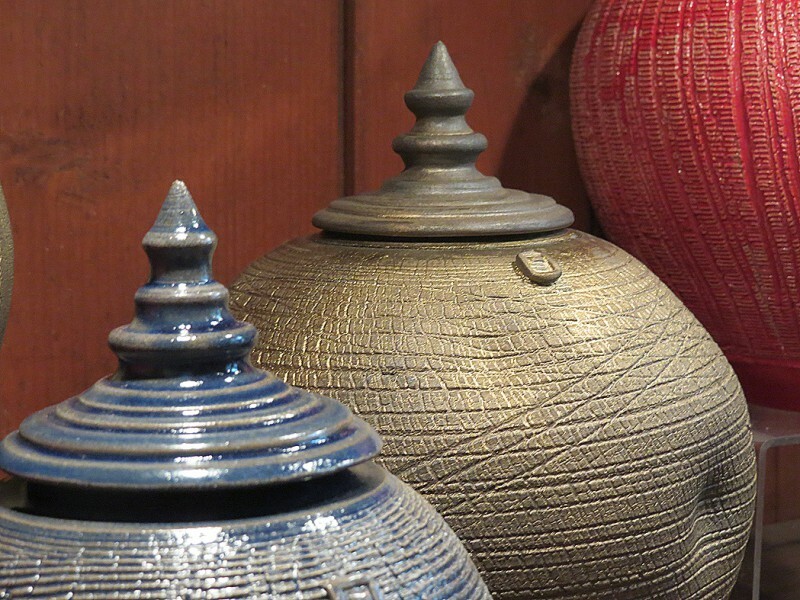 Sue Mifsud is a familiar name on the Maltese ceramics scene. Except that in spite of her very Maltese surname she still holds a British passport. Sue – originally from the West Midlands – made Malta her permanent home in 1989, opting to settle here with her Maltese husband. It’s a decision she has no regrets about – Sue loves the island’s vibe and her adopted town Rabat. Unsurprisingly she loves the island’s climate (who doesn’t?) and is also unfazed by Malta’s long hot summers – the bane of many locals. Sue’s love affair with clay started a few years after she settled here; when in 1993 she started night classes at local ceramist Anna Ciavola’s studio. Within ten years she had set up her bright, well-equipped home studio and then went on to further her studies at the Glasgow School of Art – obtaining her BA in 2011. 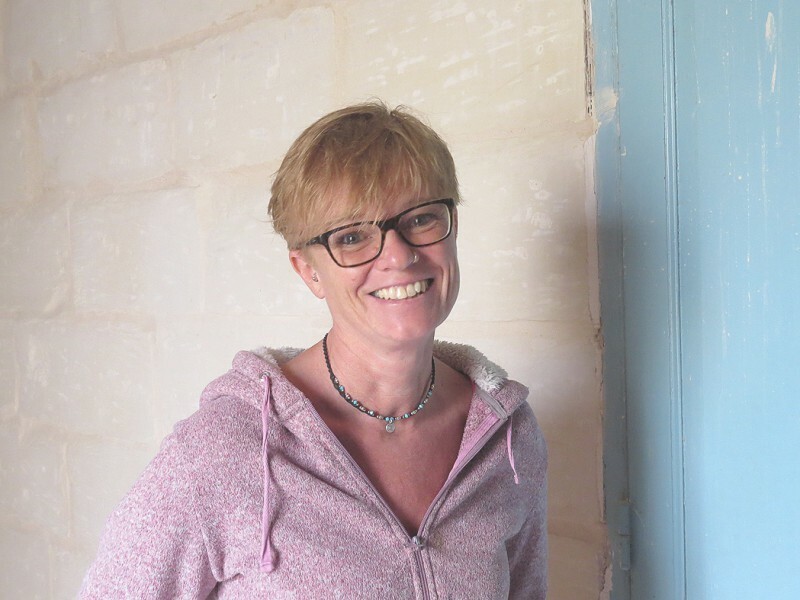 After doing a variety of jobs in Malta, in 2015 Sue decided to go freelance as a ceramic designer and established Sue Mifsud Ceramics, devoting all her time to designing and making ceramics and teaching the subject as well. 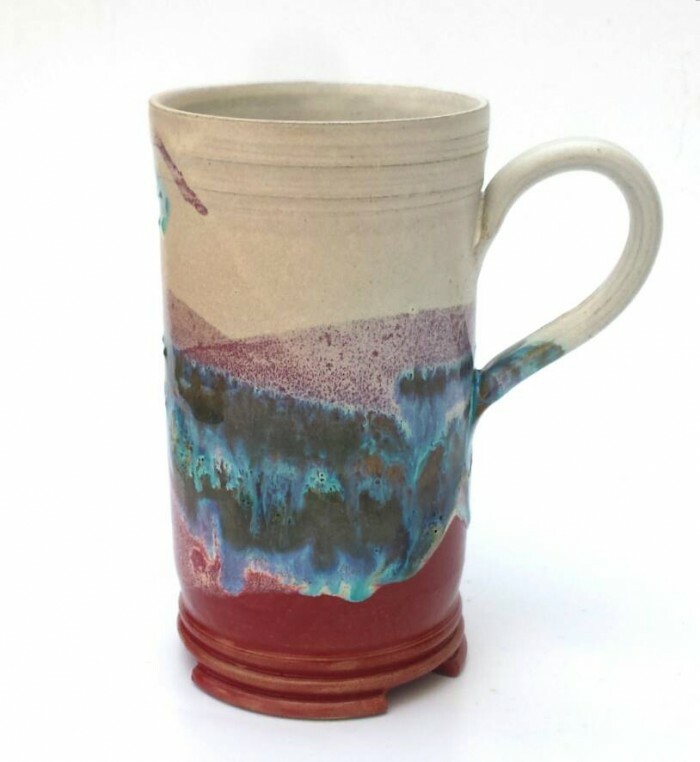 The years of study have borne fruit – Sue is certainly among the top ceramists in the line of functional ware. A number of top local restaurants have commissioned custom-made ware from her and Sue freely admits that she loves working with chefs above all. 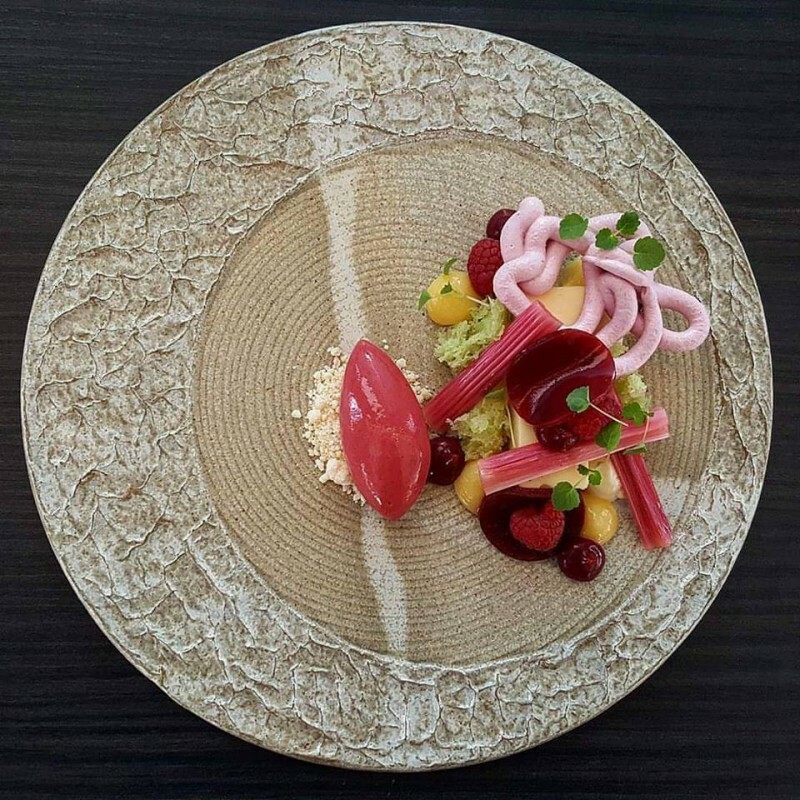 “A chef doesn’t see a plate as just a functional object but rather as a canvas for his creation” she explains. Though Sue admires the work of artists as diverse as the late Simon Carroll, Polly Morgan and Richard Slee, it will be difficult to find any traces of their influences on her work apart from a streak of particular humour that is quintessentially British. 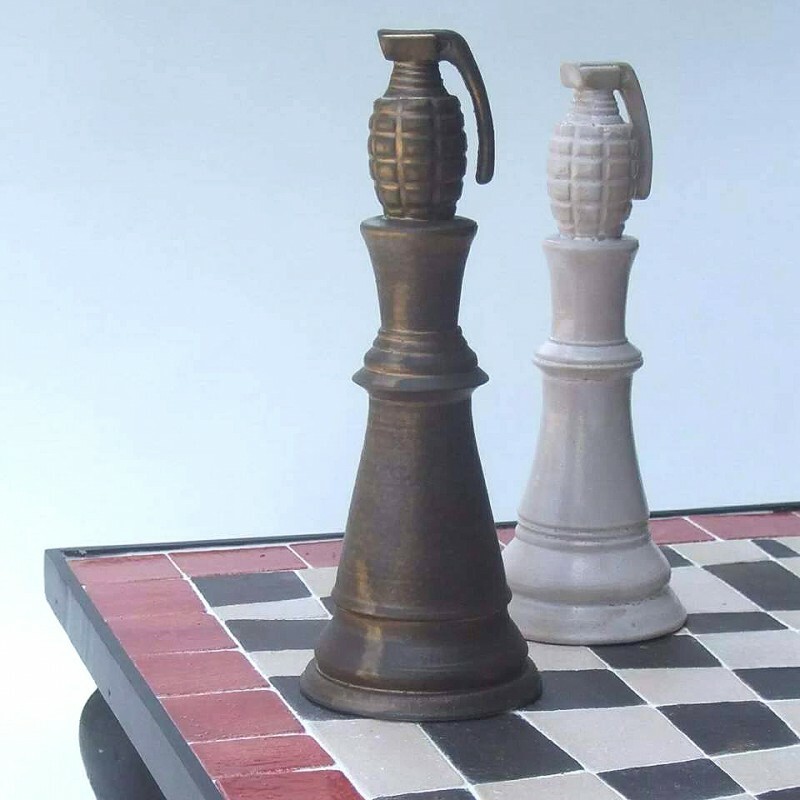 That humour is well evident in Sue’s conceptual pieces such as vessels in the form of bedpans and chess pieces with hand grenades as heads. Sue says that the inspiration does not come from other artists’ work. Her sources are the life around her; people watching, news events which catch her attention and the like. She points out one of her rougher textured pieces and explains that the texture was her response to attending a boxing bout – a somewhat unlikely haunt for such a gentle soul but which she found both shocking and fascinating … in apparently equal doses. She cites her grandfather as the greatest influence in her life. Was he an artist I wonder? Not really says Sue, but he could do so much with his hands, anything ranging from mirror frames to a variety of objects in metalwork. 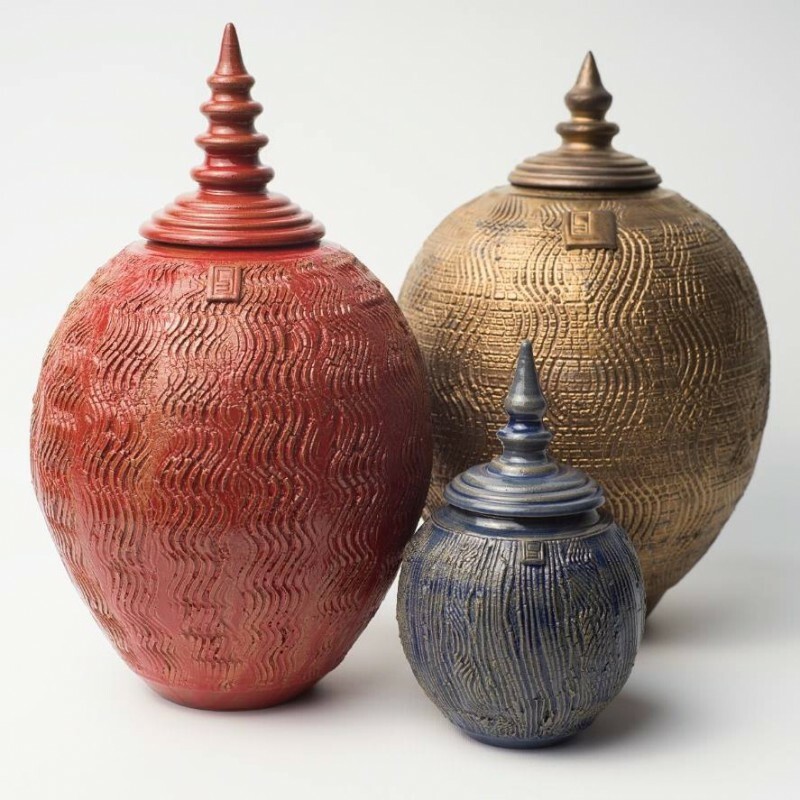 Sue has recently embarked on a series of what she calls Pagoda pots – a lovely series of vessels in which she has made extensive use of a variety of glazes, patterns and nuances in shape and form as well as textures ranging from the sublime to the rough. Sue has exhibited extensively in Malta, the UK and other countries and samples of her work are available at a few select outlets in the islands. For a closer look at Sue’s sublime work you might want to visit the artist’s studio and pick up a piece that takes your fancy. Sue can be contacted through her Facebook page. Malta is a wonderful place for trips. My dream is to visit it one day. So, thanks a lot for the breathtaking post!